WhatsApp Group Calling Feature Out! All the rumours on Whatsapp group calling feature are True and Whatsapp group calling features coming with both video and voice support. The new Whatsapp feature is now available to all Android and iOS users around the world. In Annual F8 developer conference, Facebook has announced a group calling feature. This group calling feature allows four people at a time. Even though the Whatsapp video call feature is started in 2016, it allows only two participants at a time. Like all the chats in WhatsApp are in encrypted form this new feature allows four people at a time with end-to-end encrypted form. Whatsapp group calling feature is engineered to work under slow network conditions. “Group calls are always end-to-end encrypted, and we’ve designed calling to work reliably around the world in different network conditions. The feature is currently rolling out on the iPhone and Android versions of our app”, Whatsapp said. These are the steps to follow for the user to start a video call with your contacts. 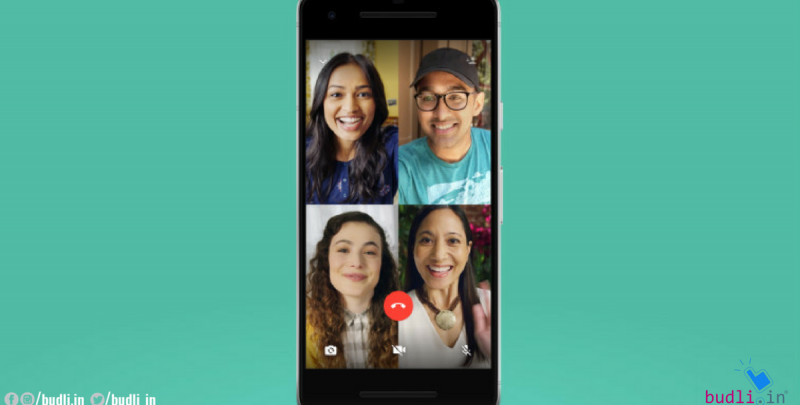 Step 1: Start a video call with your contacts you will see a button at the top-right corner of the screen that will let you add another participant to the call. Step 2: When the call gets connected, top right you can see an Add person icon. Step 3: After completing the above steps, all the connected people are shown with a comma separating them. In Whatsapp group call feature you can add total four people in a video call or voice call. This Group calling feature is only available in updated Whatsapp version. As promised by Whatsapp to introduce a forward label feature and this as recently came to live. This feature ‘forwarded label’ will appear on top of the message sent or received texts. The main aim to minimize the spread of rumours and malicious propaganda along with fake news. “…the Government has directed (WhatsApp) that spread of such messages should be immediately contained through the application of appropriate technology. It has also been pointed out that such a platform cannot evade accountability and responsibility, especially when good technological inventions are abused by some miscreants who resort to provocative messages, which lead to spread of violence”, said by the IT Ministry.